Bitcoin Cash was created as the result of a Bitcoin “fork” that happened on August 1, 2017. A “fork” is when a new cryptocurrency is created from an old cryptocurrency, but maintains all of the old cryptocurrency’s blockchain data. After the fork, all of the new cryptocurrency’s transactions are stored in its own blockchain. In other words, a fork causes the new currency’s blockchain to split away from the original while still being “attached” to the old blockchain. Practically, the fork meant that users who held Bitcoin before the fork on August 1st woke up on August 2nd with identical amounts of two currencies instead of one. If you owned two Bitcoins before the fork, you owned two Bitcoins and two Bitcoin Cash tokens after the fork. However, this was only true if your wallet supported the fork and agreed to distribute Bitcoin Cash to their users. Some wallet providers, such as Coinbase, did not–although now that Bitcoin Cash has risen in value, this may change. Bitcoin Cash has a lot of the same characteristics as vanilla Bitcoin – it has a similar number of circulating coins and the maximum amount of BCH that can ever be mined is 21 billion which is the same as Bitcoin. The value of one BCH coin has been extremely volatile since it was launched, up until today. In November 2017, the price of BCH briefly reached an all-time high of around $2,400 USD and for a few hours it even overtook Ethereum as the second largest cryptocurrency based on market cap. This was short lived, but BCH still holds a respectable 3rd place among all active cryptocurrencies. The daily trading volume for Bitcoin Cash is also pretty volatile and seems to correlate directly with price swings. At any given time, the 24 hour trading volume can range from $100,000,000 USD to $10,000,000,000 USD depending on market conditions. There have been a number of other coins that have been forked from Bitcoin–Bitcoin XT, Bitcoin Classic, and Bitcoin Unlimited, to name a few. Chances are that you have heard little about them. So far, Bitcoin Cash is the only forked coin that has gained any kind of significant value, and has accordingly received quite a bit of attention. It also generated quite a buzz when it was created since it “magically” appeared inside Bitcoin wallets on August 2nd–users lauded it as “free money”. Bitcoin Cash has seen quite a bit of fluctuation in its young life. Shortly after its creation, the coin skyrocketed to a peak of around $700. However, the young currency quickly fell into a two-week slump between $200 and $300, and most investors lost interest. Why did this happen? Part of the reason that Bitcoin Cash’s value was so high at the beginning of its life was that it was difficult to sell. For a few different reasons, most exchanges did not list Bitcoin Cash initially. Once they did, users “dumped” their coins onto the exchanges, leading to a steep decline in Bitcoin Cash’s token value. When Satoshi Nakamoto created Bitcoin, he intended it for use as peer-to-peer electronic cash that could be instantly transacted with. Bitcoin did a fine job at fulfilling this function–for a while. As more users joined the network and more transactions were generated, the network began to slow down, and transaction fees rose. In blockchain technology, having a smaller block size means that as more transactions happen, the network will take longer to complete each of those transactions. There are so many transactions happening on the Bitcoin network that a single one can take anywhere from 20-50 minutes. Ideally, transactions should happen in real time. For example, if you are buying a cup of coffee, waiting half an hour for your transaction to clear is very impractical (and annoying)–not to mention that your coffee would be cold by the time you got to drink it. This is the reason that Bitcoin Cash was created in the first place. 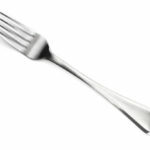 The fork that created Bitcoin Cash happened as a result of a divide in the Bitcoin community. On one side were miners who supported the “Segregated Witness” (SegWit) software upgrade to Bitcoin’s network. SegWit would have increased Bitcoin’s block size, making transactions faster and fees lower, and maintaining its intended purpose as a functional digital cash. Users on the other side of the divide argued that the increase was not large enough, and that the upgrade was nothing more than a temporary fix to a larger problem. Other users argued that Bitcoin should not be functional as digital cash, but should instead become a settlement layer upon which other applications could be built. Bitcoin Cash’s value underwent a significant upward swing on August 19, 2017 after the successful mining of an 8-megabyte block on August 16. The mining of this block was significant because it was the first evidence that Bitcoin Cash was fulfilling its intended purpose, which was to be more suited to practical use than Bitcoin. Previous to August 16, Bitcoin Cash was undergoing the first stages of the process of adjusting its mining difficulty. Practically, this meant that for a while, it was taking crazy amounts of time to mine Bitcoin Cash–something like 10 hours for a single block. Since a single transaction on Bitcoin Cash requires several block confirmations, transactions were happening extremely slowly. During this period of adjustment, mining rewards were tiny and transactions on the Bitcoin Cash network took hours. This, of course, led members of the Bitcoin community who were against the Bitcoin Cash fork to feel very smug. Additionally, the slow mining during this period was one of the factors initially preventing Bitcoin Cash from being listed on crypto exchanges, which contributed the inflation of its value early in its life. The mining of the 8-megabyte block on August 16 was confirmation that Bitcoin Cash’s mining difficulty has been adjusted, and that Bitcoin Cash does indeed the potential to fulfill its purpose as a “faster Bitcoin”. Although it took a couple of weeks (by some standards, eons in the crypto world) for the difficulty to adjust and mining to become profitable, Bitcoin Cash is currently more profitable to mine than the legacy Bitcoin. When miners realized this, a veritable Bitcoin Cash gold rush began, leading to the August 19 spike in value. Another factor contributing to the bullish run on August 19 was the high demand for Bitcoin Cash in South Korea. On that day, the South Korean exchange Bithumb recorded a $669 million Bitcoin Cash trading volume. According to the Bitcoin Cash website, “there is no one single development team for Bitcoin Cash. There are now multiple independent teams of developers.” In the traditional world of cryptocurrency, decentralization is king. Therefore, this method of development makes Bitcoin Cash a very attractive option for lots of crypto users. On the other hand, the team (or rather, teams) have been the target of some skepticism from users who have criticized Bitcoin Cash for not having an all-star team like many of the other new “altcoins” do, or Bitcoin itself does. Bitcoin Cash is available on a variety of different exchanges, including ViaBTC, Bittrex, Kraken, CEX.IO, KEX, huobi.com, Korbit, BTCBoc, Toubi.com, coinfloor, HitBTC, BTCPop, BitStarEx, Mercado Bitcoin, and Shapeshift. A handful of both web-based and hardware wallets support the storage of Bitcoin Cash, including BitcoinABC, bitcoinclassic, bitcoinunlimited, Bitcoin XT, Ledger, Trezor, Electron Cash, and BTC.com. Because of Bitcoin Cash’s large block size, it can be used for faster transactions than its mother coin, Bitcoin. While Bitcoin’s block size is currently limited to one megabyte, Bitcoin Cash’s block size is eight megabytes. Bitcoin Cash also offers users low transaction fees. Bitcoin was originally created as a form of digital currency that could support real-time transactions, but its functionality decreased over time as more users began transacting on the network and essentially “clogging” the blockchain. Bitcoin Cash has a larger block size than Bitcoin, a feature that allows for real time transactions even in a high-volume transactional environment. Additionally, Bitcoin Cash is more profitable to mine than Bitcoin at present. As of August 19, it was 21% more profitable, to be exact. As an added measure to support user stability and security, Bitcoin Cash employs Replay Protection. A “Replay” is when transactions on the Bitcoin Cash network are repeated on the Bitcoin network. Bitcoin Cash prevents this from happening by marking transactions with a new signature hashing algorithm (SIGHASH_FORKID). This allows Bitcoin Cash and the legacy Bitcoin to exist simultaneously with no disruption to users. Bitcoin Cash users are also protected from “Wipeouts”, also known as “51% Attacks”. A “Wipeout” happens when a high-powered miner or group of miners maliciously prevents other miners from completing blocks, allowing them to monopolize mining and collect all of the associated rewards. Such an attack is still only theoretical. As part of the Replay and Wipeout Protection, Bitcoin Cash also brings a new type of transaction to the table. The “dump” that happened early on in the life of Bitcoin Cash can be interpreted as a market correction. The coins were initially overvalued. 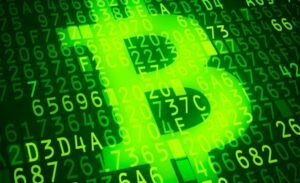 The recent uptick in value–while market correction is inevitable–is an indication that Bitcoin Cash will most likely continue to rise in value. This is because the users who currently hold coins less likely to dump them en masse, and Bitcoin Cash miners are hot to trot. As these words are being written (August 20), the market cap of Bitcoin Cash is $12,151,062,616. A single Bitcoin Cash token is worth $736.37–down from the ~$1000 peak of the previous few days, but an impressive sum nonetheless. The total supply of Bitcoin Cash was 21 million BCH (just like mama Bitcoin), and the circulating supply is 16,501,413 BCH. Bitcoin will soon undergo the “Segregated Witness” software upgrade that will increase its block size. An increase in Bitcoin’s block size is likely to cause an increase in transactional volume, practical usability, and mining profitability. In turn, its value would increase, which may cause users Bitcoin Cash to drop their BCH tokens and return to Bitcoin. However, if Bitcoin Cash continues to prove itself as a practical and more functional alternative to Bitcoin, we may see more and more users “converting”, and the value of Bitcoin Cash increasing in tow.